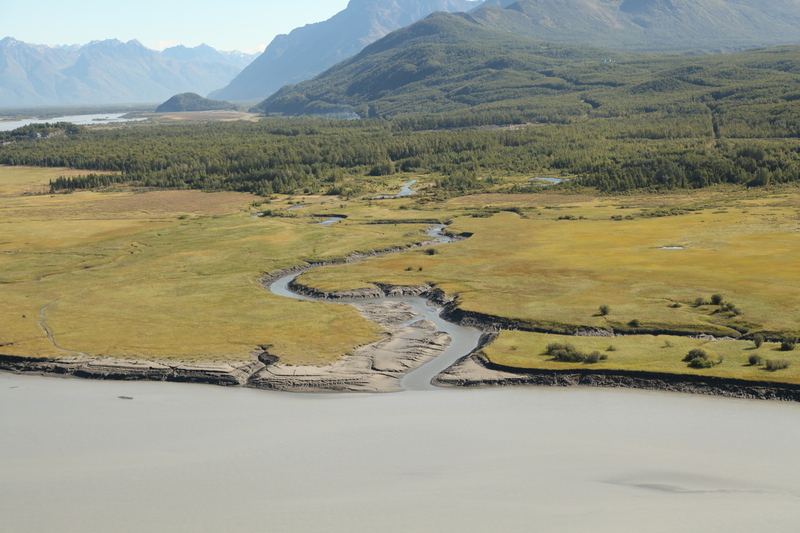 Eklutna, AK, June 5, 2014 /3BL Media/ – Wells Fargo & Company (NYSE: WFC) is donating 143 acres of land adjacent to the Native Village of Eklutna to The Conservation Fund for permanent land and habitat preservation. The property is located approximately 25 miles northeast of Anchorage, in the heart of Dena’ina Athabascan country where Alaska Native people have lived for thousands of years. A donation ceremony will take place on June 8 at 2:30 p.m. during the Native Village of Eklutna’s biennial Dena’ina Potlatch celebration in Eklutna. The potlatch also kicks off the National Congress of American Indians mid-year conference slated for June 8-11 in Anchorage. The land has cultural and historical significance to the Dena’ina people with traditional semi-subterranean dwellings (nichilq’a in Dena’ina Athabascan) and storage caches identified on the property. They are among the few remaining undisturbed Dena’ina habitations within the Municipality of Anchorage. The area remains a place for traditional subsistence activities such as hunting, fishing, and berry picking. Hills on the property are also revered as sacred grounds where ancestors’ ashes are spread, and a unique granite formation on the land was the inspiration for the Native village’s name. On June 4, Wells Fargo announced that 54 environmental nonprofits were awarded grants totaling $3 million from the 2014 Wells Fargo Environmental Solutions for Communities grant program. The grants include a total of $125,000 awarded in Alaska to the Anchorage Parks Foundation Youth Employment in Parks (YEP) program, the Alaska Zoo for its polar bear exhibit, and Alaska Pacific University’s Spring Creek Farm in Palmer. The philanthropic grants support projects focused on land and water conservation, energy efficiency, infrastructure, and educational outreach in communities where our customers and team members live and work. This grant program began in 2012 as part of Wells Fargo’s commitment to provide $100 million to environmentally-focused nonprofits and universities by 2020. Wells Fargo has 850 team members in Alaska who serve customers through a network of 57 banking, mortgage and investment offices, and 115 ATMs, in 28 communities. Wells Fargo & Company (NYSE: WFC) is a nationwide, diversified, community-based financial services company with $1.5 trillion in assets. Founded in 1852 and headquartered in San Francisco, Wells Fargo provides banking, insurance, investments, mortgage, and consumer and commercial finance through more than 9,000 locations, 12,500 ATMs, and the internet (wellsfargo.com), and has offices in 36 countries to support customers who conduct business in the global economy. With more than 265,000 team members, Wells Fargo serves one in three households in the United States. Wells Fargo & Company was ranked No. 25 on Fortune’s 2013 rankings of America’s largest corporations. Wells Fargo’s vision is to satisfy all our customers’ financial needs and help them succeed financially. Wells Fargo perspectives and stories are also available at blogs.wellsfargo.com and at wellsfargo.com/stories. In 2013, the Company invested $275.5 million in grants to 18,500 nonprofits, and team members contributed more than 1.69 million volunteer hours around the country. A leader in reducing its own greenhouse gas emissions and operating sustainably, Wells Fargo has been recognized by the U.S. Environmental Protection Agency’s Center for Corporate Climate Leadership, the Carbon Disclosure Project and the U.S. Green Building Council. Since 2005, Wells Fargo has provided more than $28 billion in environmental finance, supporting sustainable buildings and renewable energy projects nationwide. This includes investments in more than 300 solar projects and 47 wind projects that generate enough clean renewable energy to power hundreds of thousands of American homes each year. For more information, please visit: www.wellsfargo.com/about/csr and the Wells Fargo Environmental Forum.